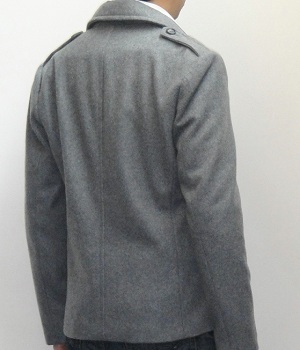 This men's gray wool peacoat is plain light gray and has two side pockets and epaulets. Simple and clean! Whether you want to present yourself in the charming fashion or casual fashion you cannot go wrong with this beautiful gray wool pea coat! 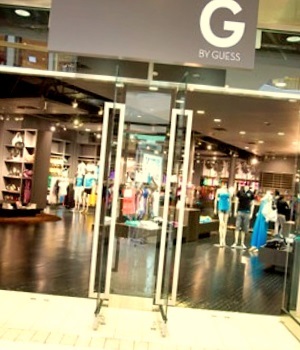 When I saw this gray wool pea coat on Express website I was drawn to its big stylish collar. 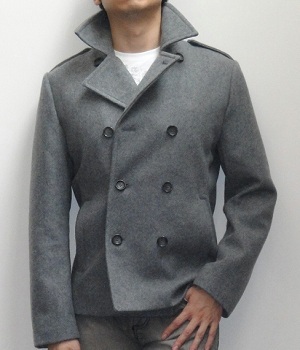 Peacoats' collar is usually not this big; so there must be something to this heather gray pea coat! This gray pea coat is easy to match in your outfit as it is neutral color. You can wear a t-shirt, a sweater, or a shirt inside the pea coat. I'd recommend either black, beige, white or dark gray (different kind of gray from the pea coat) top because venturing other colors can be tricky. As for the bottom gray (again different gray than the peacoat) and blue jeans or pants work the best. Wear shoes that match your top and you are all set! BUY this gray pea coat NOW b4 they run out!